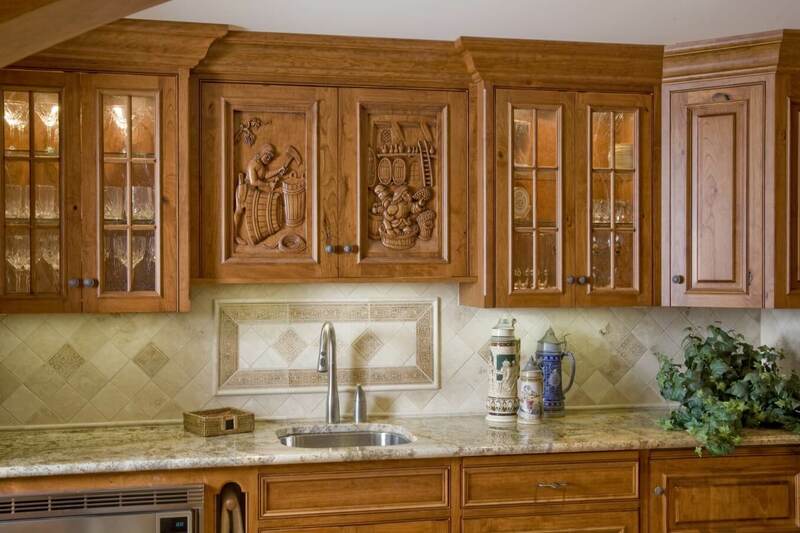 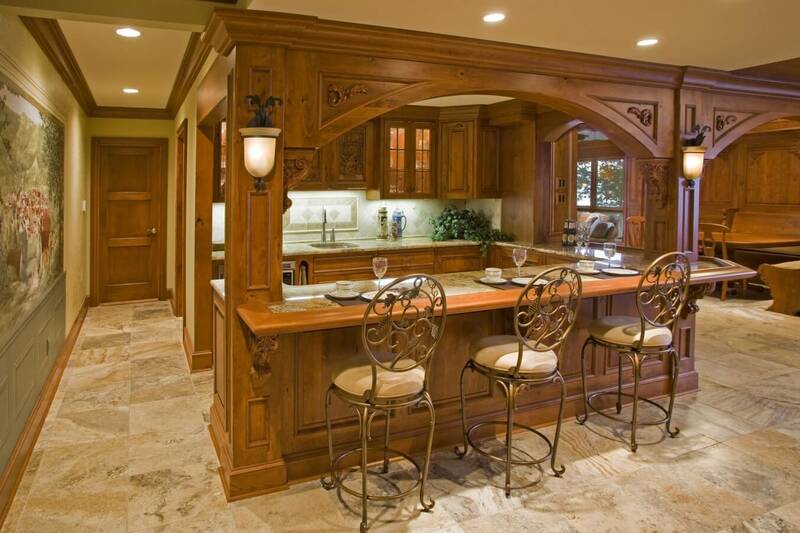 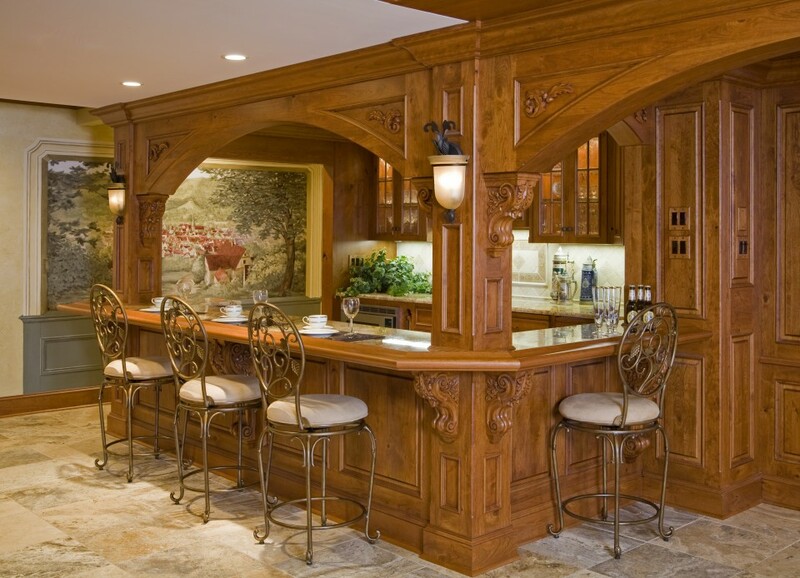 Rustic cherry bar custom-made by Superior Woodcraft, Inc. of Doylestown, Pa is the perfect selection the this premier estate home. 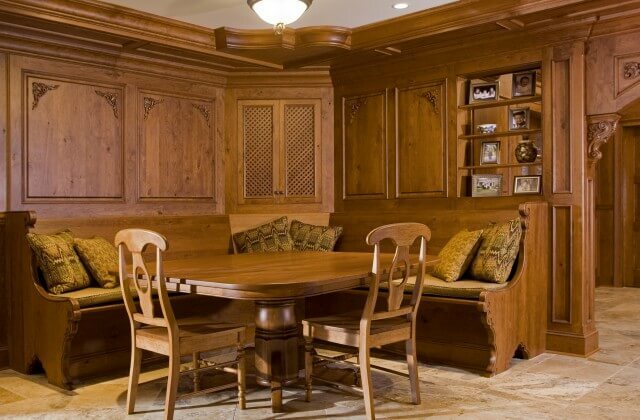 Detailed custom wood carvings showcase the exquisite room. 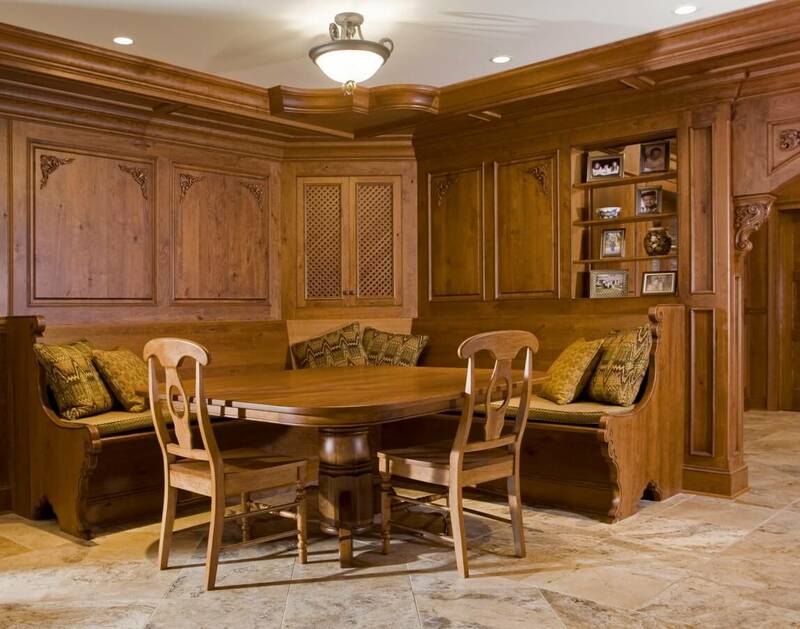 The custom-made room was designed for entertaining friends and family. 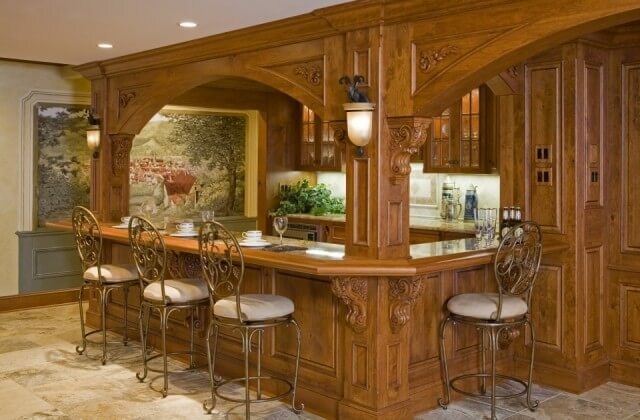 With carved doors depicting scenes of traditional wine making this custom-made rathskellar pays tribute to its european roots.